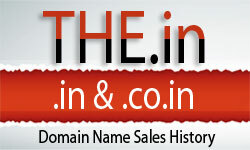 Discuss Domain Names in any Indian language. Currently IDNs are available only in .com and .net. Advertisement of any other domain related products and services. 25 posts minimum needed to advertise. Web design, web development, internet marketing, hosting, affiliate programs, etc. Drop by here and let us know more about you.